The income below is for money earned during the month of December but not necessarily paid out during the month of December. It’s also important to keep in mind that these numbers do not reflect the taxes I will need to pay on this income. I will be honest, my December income and traffic shocked me in the best way possible. I took quite a bit of time off from blogging in December (approximately two weeks) to focus on my family and enjoying the holidays with them, and couldn’t believe that I was still earning money from my blog while I was off enjoying family time. Proof to me that blogging is truly the best fit for me with the flexibility I want in my life to have a good work-life balance. That’s the beauty of blogging to me – you can put your hard work and time into your blog and then later on take some time off but still be making an income from it. Last month proved to me that blogging really can be passive income in a lot of ways! I don’t know many other jobs or business ideas that allow for that much flexibility in your life. I cannot even explain how awesome it felt when I saw I had over 100,000 page views in December. It’s something that I’ve been working very hard at achieving since I first started my blog, and it felt a little surreal to reach that goal within my first year of blogging. I’ve had people tell me that blogging is part timing and part luck, but I really don’t find that to be true at all. While there’s no magic formula for blogging success, I’ve worked very strategically this past year to try to make my blog as successful as possible and that includes knowing when it’s important to invest your money. The one single investment that has continued to help me reach my blogging goals on a regular basis has been investing in Tailwind, a scheduling tool that I use to schedule out my pins on Pinterest. I literally spend 20-30 minutes a week on Pinterest since Tailwind streamlines the process for me and does so much of the work. And the results of using this tool show- below is a screenshot of the page views I received from Pinterest from December 1-31, 2015. 60% of the visitors to my blog came from Pinterest! I paid for a full year upfront of Tailwind, so it only comes out to a $10 investment per month. Totally worth it if you ask me! If you’re going to invest in anything for your blog this year, I couldn’t recommend Tailwind more. They have a free trial too where you can schedule 100 pins for free before actually purchasing, just to make sure it’s a good fit for you. You can use my affiliate link to try Tailwind out for free! The past few months, I’ve become more and more uncomfortable with the amount of sponsored content that I’ve been sharing in this space. Although I am truly pretty picky about which sponsored post opportunities I accept and always work hard to provide value in those posts, I’m just tired of pumping out so many sponsored posts every month. My heart isn’t into sponsored posts these days; I would much rather focus on creating my own products that I am excited about and that I know will enrich the lives of others. That’s why I’m here, after all. I have a passion and a desire for helping others create a life they are in love with, and I want to live out that passion to its fullest. I am a firm believer that you should do what excites you in life, and that (most) of the things you spend your time on should bring you such immense joy that you just cannot freaking wait to get out of bed every morning. Life is too short! So for that reason, 2016 is going to be the year of less sponsored posts, and more content and courses that I’m absolutely bursting at the seams to share about 🙂 As a result, you will likely see my income decrease drastically in the beginning of 2016. 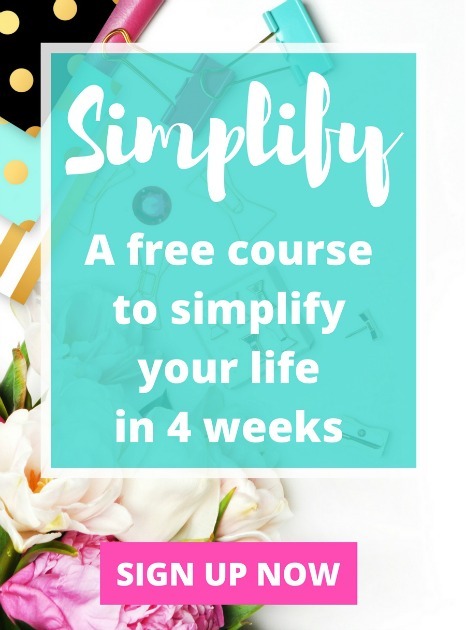 If you have courses that you would like to see available on Embracing Simple, please shoot me an email. I love to hear from you guys and am here to serve you and your needs – don’t be shy about reaching out! You all have made this online space a place that I adore spending time in, and have allowed me to earn an income from home while spending precious quality time with my 18-month-old daughter. I don’t think I’ll ever be able to express how grateful I am for this opportunity, deeply and truly! And if you are a stay-at-home Mom reading this who is looking to earn an income while still getting to be home with your babies, or maybe you currently work in an office but would love to be self-employed, I truly encourage you to start a blog of your own or check out these other at-home business ideas. Not only does blogging present a really fun way to make money online, but it gives you the opportunity to help others too. What could be better than that?! Thank you from the bottom of my heart for all of the encouragement and support! How was your December? Let me know in the comments below! 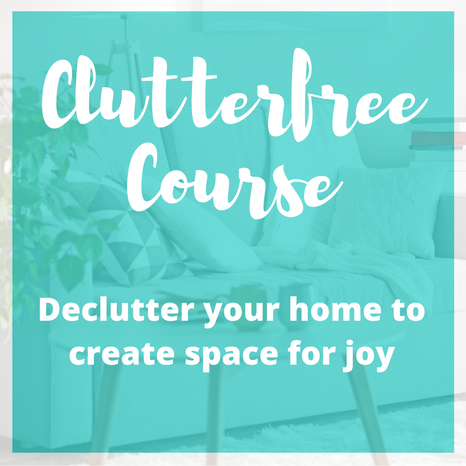 I just discovered your blog through pinterest and I’m in love with it!!! It’s similar to the blog that I’ve just set up tracking my journey of trying to live more frugally and simply. I’m looking forward to reading all your past posts, as well as reading your new ones! Thanks for such a beautiful and inspiring blog! Hi Lizzie! You are too sweet, thank you! That’s awesome, I’m looking forward to checking out your blog as well. Thanks for your comment and stopping by!! Congratulations on hitting the 100k mark, friend! You have worked so hard on this blog and put out amazing content– what a great achievement. I think I need to jump on the Tailwind bandwagon. Pinterest is definitely my biggest source of traffic. Wonderful job! Congrats on such success! I appreciate how transparent you are with your blog traffic and income, somehow blogging became an secret society where people who ‘make it’ aren’t so willing to share what has worked and hasn’t worked for them. You are one of the first blogger that shares the good, bad and ugly and I really appreciate it. Happy New Year! I hope you had a great one and I look forward to reading less sponsored posts and more personalize posts. Aw thank you Mary! I try to be as transparent as possible while still being comfortable with how much I’m sharing, so I appreciate you saying that! Happy New Year to you as well 🙂 Hope 2016 is a great one for you! Congrats on such high traffic, that’s amazing! I also think it’s crazy how you could take 2 weeks off but still reap the benefits of passive income and traffic from Pinterest. Your site looks fabulous by the way! I am also a big fan of your blog. I especially love your simple and clean design. Is this a theme you had to purchase, and do you think it’s worth it? Thank you Portia!! Yes, I purchased the swank theme –> https://prettydarncute.com/demos/swank/. The swank theme in general is a super clean and simple design, but I have created my own custom header (just using Picmonkey) and customized my fonts and colors as well. I use the swank theme just as it is for a long time though and have always loved it! You are such an inspiration! Thanks for this update and all the other instructional content, congrats on a great year! You’re such an encouragement to newbies like me! You are too sweet, thank you so much Teri! Thank you for publishing this, as someone who also just hit 100,000 pageviews, I like to see what people in my range are making. Second – I totally FEEL YOU on the sponsored post stuff. I did a few and cringed while I wrote them. Even with pure authenticity and truth behind the post, it still felt wrong. I decided, like you, to stop participating in the sponsored post networks, and instead – I only work with small brands that either I reach out to or they reach out to me. By doing this, the sponsored content feels more “pure” in a sense. Anyway, sorry to talk your ear off, but great job and keep working babe! Our blogs will unfold to exactly what we and our readers need! I’m so glad to hear I’m not alone with my thoughts on sponsored posts. While I am not opposed to doing a few a month, I just need to take a step back from them for a little while to reevaluate. They are a lot of work! Thanks for your kind words and encouragement!! Thanks so much Sara! I miss you too!! Congrats! What a great milestone for you. I totally feel you on the sponsored posts. I’ve actually never done one before because all that get sent my way are things I can’t put my heart into and I don’t feel comfortable promoting something I can’t stand behind completely. I understand if this is too personal, but I’d love to see a post about the tax deductions you may take advantage of in terms of the blog. As someone who makes some income from her blog, it’s always nice to know what deductions I could be missing, etc. Thanks so much Terri! I completely agree, thus far I’ve only promoted things that I find helpful or personally use….yet still feel icky every time I publish a sponsored post. I want to find a happy medium of maybe 1-2 sponsored posts a month, but am currently taking a break from them just to reevaluate. Sponsored posts are a lot of work too, often times way more than my typical posts are! Great read! Thanks so much for these tips! I’m going to check out Tailwind now… Pinterest has been nothing but great for my blog; your tips will definitely serve me well. Happy Anniversary too 🙂 ! Thank you Angie! I definitely recommend Tailwind, let me know if you end up wanting to purchase as I can gift you a free month through my account. I’m new here, I found your website recently by searching on Google by “Income Reports”. Your website is amazing and what you are building. I’m starting creating my own blog since October 2015 and I’m still in the learning process. 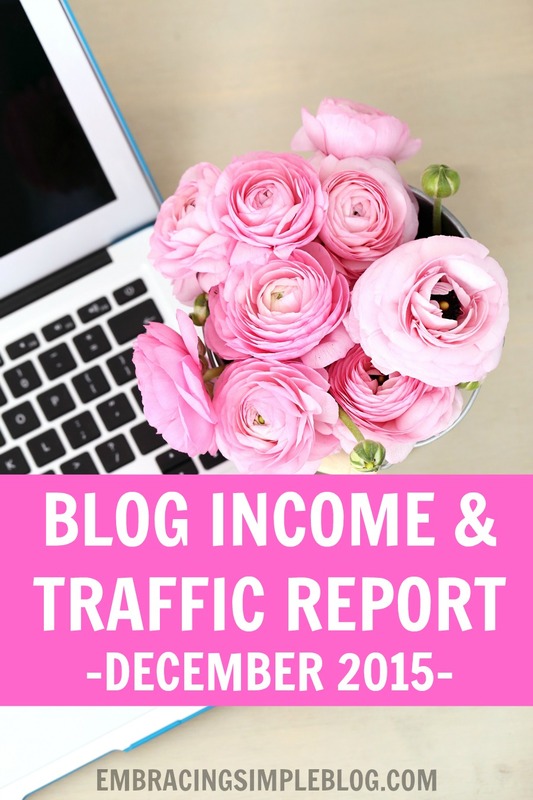 I feel the need to include your blog in my page of Bloggers Income Reports. Please, keep writing income reports as I love them. Quite impressed in how much you are making with Godaddy, well done! What a great article! Is Tailwind only for Pinterest or do I need Hootsuite too? Thanks for sharing Christina! 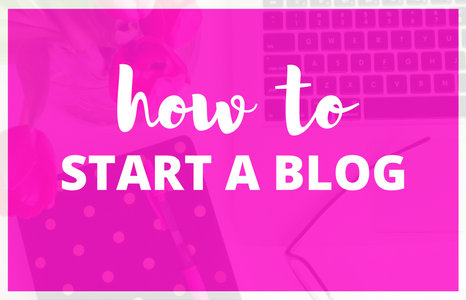 I’m still in the beginning stages of blogging (about 2 months in) and this is so inspiring to see that it IS possible to make a part-time or full-time income blogging! Great job! I can’t wait to see all the wonderful things that are coming to your blog in 2016! Thanks for sharing…i think i need to start using pinterest to improve my blog! Im a new blogger and find your story encouraging. Thank you! Ah, you sound so inlove with blogging. 🙂 It’s great! I can’t wait to feature you in my post – How to make money with a blog from small, medium and large mom bloggers. My readers will LOVE you! You have fantastic advice. Thank you! I really am so in love with blogging Suzi, it’s been such a beautiful outlet for me and is something that I truly enjoy! What an awesome feeling and accomplishment! 😀 Great job. I just stumbled across your site and SO happy I did. We have very similar mindsets when it comes to embracing simplicity. (That’s what my blog is all about! Hope we can connect and support each other. Keep at it girl! Hello 🙂 I am a newbie fellow blogger. I am trying to get as much knowledge as possible. Hi Kristen! Sponsored posts are when a company compensates you in return for promoting their product or service within a blog post. I only partner with companies whose products I believe in or personally use myself 🙂 This is an example of a sponsored post I’ve done recently –> http://embracingsimpleblog.com/5-tips-for-self-care-during-the-holidays/. Feel free to email me if you’d like me to go more in-depth, I’m happy to clarify anything for you! Yay! You are rocking it girl. I just started blogging 2 months ago and I’m loving. I’m soaking up as much information about being a successful blogger as I can. 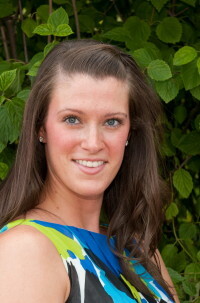 I found you on “Start a Mom Blog” site. I just signed up for your emails. This is a great post! I had never heard of Tailwind. I am going to head on over and sign up, using your affiliate link! Thank you! 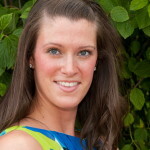 You are so sweet to use my affiliate link Jenna, thank you so much! I appreciate the support 🙂 You will LOVE Tailwind, let me know if you have any questions about how to get it all set up! Awesome job Christina. Never really heard much about Sponsored content before, looks like a decent source of income for you. You have some killer traffic from pinterest! Impressive. Thank you for this post! I’ve been considering a blog for quite some time now, but I’ve never gotten any further than just “considering”. 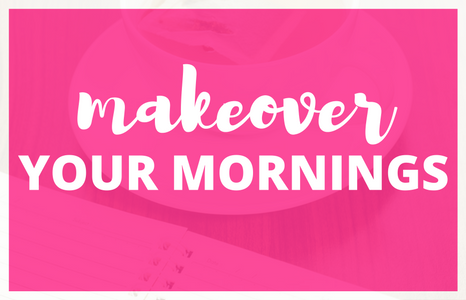 I came across your blog via Pinterest (proof that it works!) 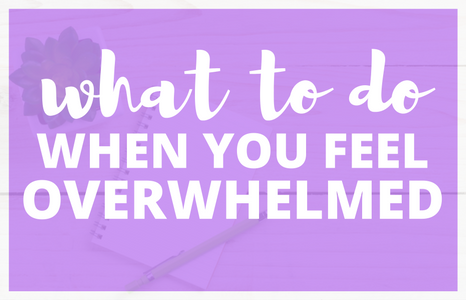 and it was almost like a neon sign saying, “Hey – you’re making this seem harder than it really is!” I feel like this is really something I can do. I think so much of it comes down to confidence and I think gosh, if I had started a blog a year ago think about how much knowledge and experience I would have by now. So…there’s no time like the present! I’m glad I found you! And you are so right, everyone has to start somewhere. It’s amazing what you learn as the months go on, I really do think diving right in is the best course of action to take when it comes to start a blog. I’m so glad that I could help you feel a bit more empowered – you got this!! Reading blogs like yours and Sarah’s has made me want to start my own blog. I am currently in the process of doing so that way I can spend more time with my son. That is awesome Kortney! Sarah has become one of my “real life” best friends outside of blogging too, she is so inspirational. Love that girl! Thank you for sharing! 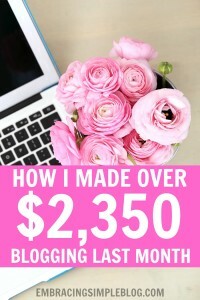 I have been blogging “for free” for a year now, and told myself if I kept at it that long I could take the plunge into starting to make $, so every tip is so helpful in getting me started! Hope to be where you are in another year! Jennifer, that is great!! You’ve got this, let me know how your journey to make your blog profitable goes. I’d love to hear about your progress.